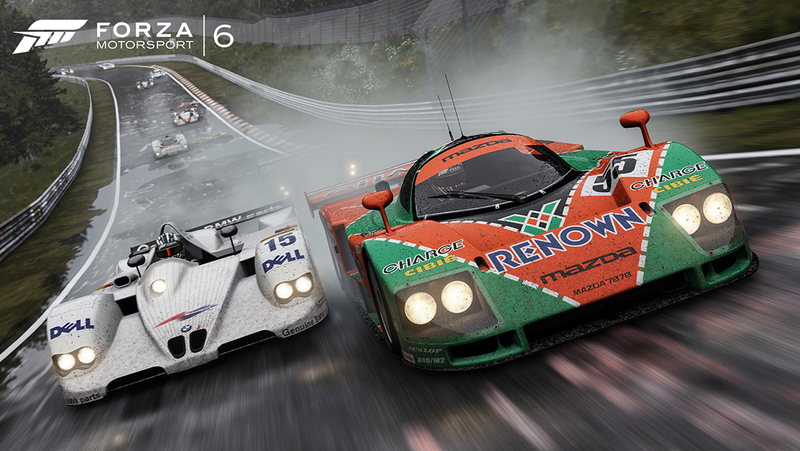 This is a sentence we’ve been waiting a long time to say: Welcome to Forza Motorsport 6! 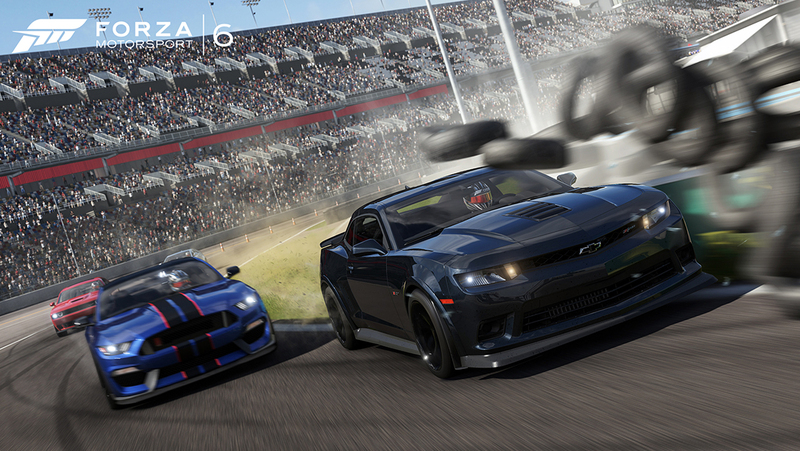 If you are an Ultimate Edition owner of Forza 6, you can start playing today thanks to your early access privileges. The game will arrive for the rest of the world beginning on September 15. There’s a great deal of things happening around the world of Forza 6 as we prepare for the influx of awesome Forza fans, and this story is here to capture as much of it as possible. If you’re playing Forza 6 today (or in the near future) and want to know what’s happening, this is the story for you. First up, if you’ve played a Forza game in the past (going all the way back to Forza Motorsport 2 on Xbox 360), chances are you’ve got some cool stuff waiting for you in Forza Motorsport 6. We’ve got cars with your name on them and the list of rewards is impressive – from fat stacks of in-game credits to amazing cars like the 2012 Nissan GT-R Black Edition, the 2015 Jaguar F-Type R Coupe, and the 2015 Ferrari La Ferrari, all delivered directly to you in Forza 6! 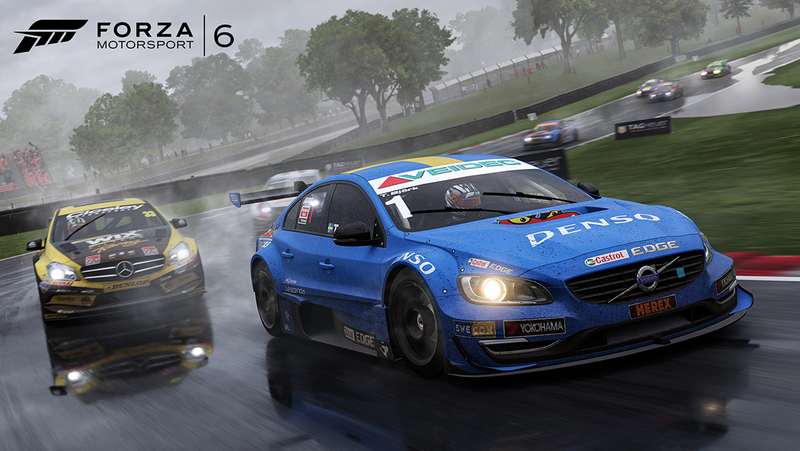 For the full list of Rewards you can earn in Forza Motorsport 6 check out the Forza Loyalty Rewards story. In addition, all Forza players can earn weekly bonuses in Forza Motorsport 6 (and other Forza games) via our weekly Forza Rewards program. Rewards renew every Friday and you redeem your rewards on the Forza Hub app on Xbox One or the Forza Rewards site. Right out of the gate, we’ve got an amazing contest happening in Forza 6: the Forza Drive to Win Sweepstakes where the winners will win some amazing prizes, including a trip for two to the 2015 Bathurst 1000 in Australia, cash prizes, their Xbox Live Gamertag emblazoned on the Xbox Bathurst 1000 racing car, and more! To enter, all you need to do is set a lap on the “Xbox One Bathurst Challenge” Rivals event in Forza Motorsport 6, which will be open from September 10 to midnight on September 25, 2015. Please read the full terms and conditions for the Forza Drive to Win Sweepstakes for all relevant eligibility details. The first car pack for Forza Motorsport 6 has arrived – the Fast & Furious Car Pack! Featuring ten cars that span the entire history of the legendary Fast & Furious film series, this pack is a must for Forza fans. 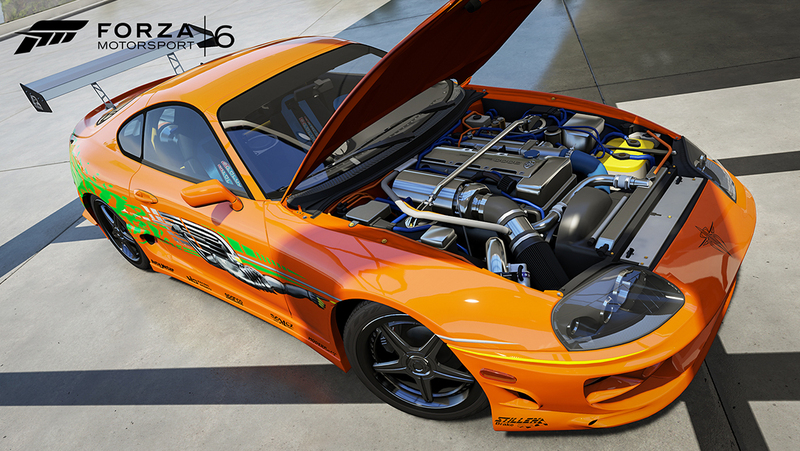 From the 1995 Toyota Supra RZ to the 2014 Terradyne Gurkha LAPV, there’s a lot of heavy metal awesomeness here and, if you’re a Deluxe Edition or Ultimate Edition owner of Forza Motorsport 6, you already have this ten-pack of cars coming your way! 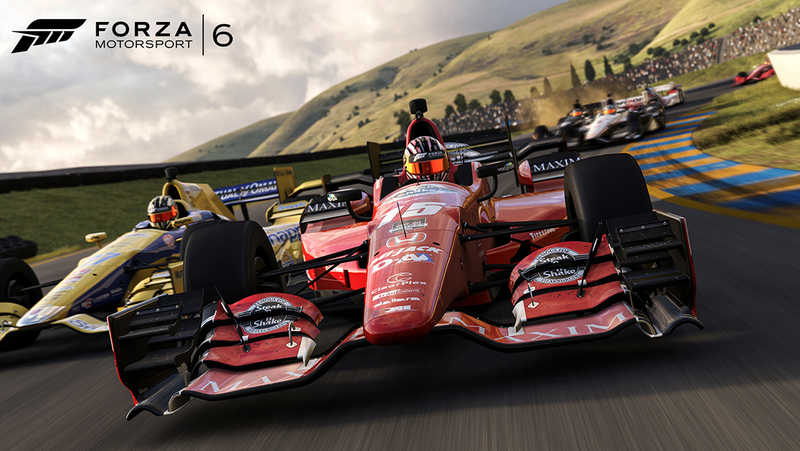 Leagues – Get started today in the Introductory League in Forza Motorsport 6! In this League, designed to ease players of all skill levels into the competitive nature of Leagues, we’ve kept the car power down (you’ll be racing D-Class cars) and turned off collisions. Set your fastest laps in this Leagues playlist and see how far you can climb the leaderboard. Look for more Leagues coming next week! Rivals & Hoppers – As always, we’ve got a full lineup for Hoppers and Rivals events to check out in Forza Motorsport 6. From setting hot laps at Rio in the 2017 Ford GT to new hoppers featuring cars from C-Class, A-Class and more, not to mention Drift, Drag and Tag rooms, we’ve got lots of ways for you to mix it up online with others online. Of course, we’ll be adding new hoppers in the future too, so stay tuned! If you’re a longtime Forza community member you know how this works; if you’re new, then welcome! You’re about to enter a world of awesome automotive creativity that will leave your jaw on the floor on a weekly basis. The Forza community is one of the most creative in all of gaming and you can be part of that too! Starting today, we’ll be kicking off new photo and livery contests over on the Forza Forums. Submit your best your work and you might be featured in our weekly community updates here on ForzaMotorsport.net and on the Forza Hub app on Xbox One! You don’t have to be in front of your Xbox One with a controller in hand to be part of the Forza world. Join the Forza Forums and talk about everything Forza with fans from all over the world. Whether you’re a painter, a photographer, a racer or drifter, or you just want to talk cars with some most passionate fans around, the Forza Forums are the place for you. Whether it’s redeeming your weekly Forza Rewards, finding out the latest news in the Forza world, or exploring a ton of community content, Forza Hub is the center of your Forza world! Download the Forza Hub app for Xbox One and check back regularly for the latest news and to get your free Forza Rewards!